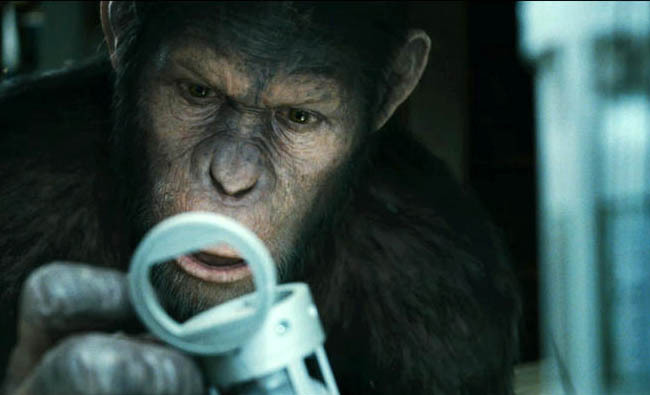 As X-Men: First Class takes the franchise back to the drawing board, Peter Parker prepares to get bitten AGAIN and Hollywood ponders what the hell it’s going to do with Batman once Christopher Nolan is done with it, another reboot has caught my eye: Rise of the Planet of the Apes. Doesn’t mean we should fix it. Or rather, just because we can make things better, does not mean that we have to. JJ Abrams set a good example of what to keep and what to change with Star Trek. The original Planet of the Apes was made in 1968. I’ll ignore Tim Burton’s 2001 failure; the less said about the Mark E. Mark/Helena Monkey Carter love interest storyline the better. Rise of the Planet of the Apes is a movie that will benefit greatly from the CG we have today, and the trailer certainly impresses on that count – in fact, there’s perhaps never been a better time to revisit the Apes than now. So why am I not convinced? Rise passes Rule 1 by coming to a new audience at a time that makes it fresh and interesting, then stubs its toe squarely on the corner of the Rule 2. The beauty of the Apes series was being transported into a world that was unfamiliar, a world turned on its head. It’s a film that doesn’t need a PowerPoint presentation on the hubris of man messing with nature - it was all there neatly for audience to grasp in the original. When Charlton Heston comes across the destroyed Statue of Liberty and realises that we destroyed ourselves and the Simians evolved to be the ruling species, it’s just perfect, and doesn’t need to be spelled out. 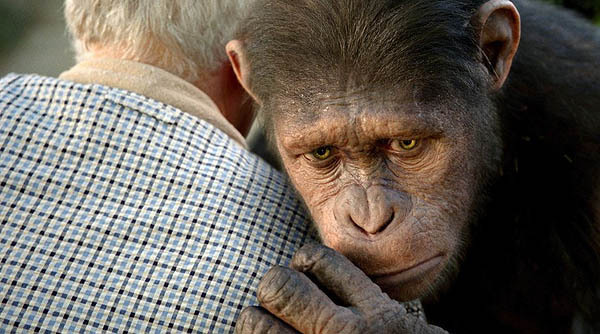 Moreover, Planet of the Apes is an allegory, the apes making the same mistakes as us - racial inequality, violence - but that won’t be present it this version. Sure, the sketchy apes are gone, the script is tighter and the set pieces are better, but is it a worthwhile trade off? Maybe it’s the same mistake that Peter Jackson made with King Kong by having the lengthy fight sequence in the middle that, although didn’t ruin the film, definitely felt like technical demonstration over storytelling. I’m still going to give the film the benefit of the doubt, and more importantly my hard earned cash. But as far as my faith in the film goes, I don’t hold a lot of hope. It feels as though by making Rise a modern day tale (and in my opinion an unnecessary origins story), they’ve taken all that is Planet of the Apes away. And besides, what do you expect is going to happen if you give brain-developing drugs to a monkey called Caesar? Should’ve given it to the monkey named Cletus. Read More About... Blog, Planet of the Apes, Rupert Wyatt.